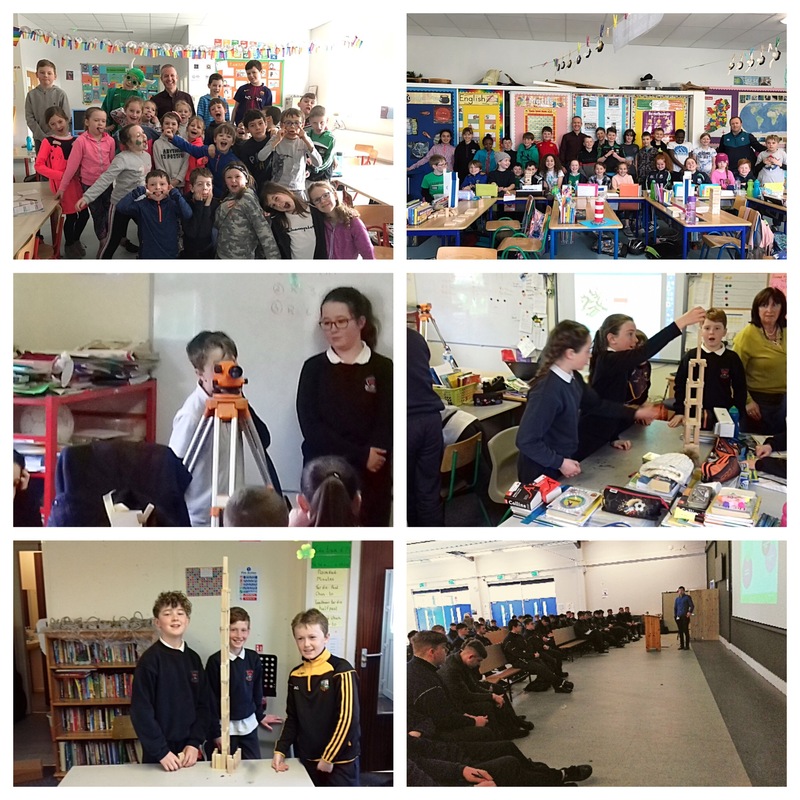 Engineers Week 2019….. more school visits! More Jenga over the last week with the next generation of Engineers! We’re delighted to help Engineers Ireland during Engineers Week to bring the fascinating world of engineering to schools nationwide, with three more of our engineers visiting school throughout Ireland. Gareth Lloyd visited second and fourth class in Donabate Portrane Educate Together in Dublin; Barry Cronin visited fifth class in Kilbrittain National School in Cork; and John Culbert visited Patrician Secondary School in Newbridge, Co.Kildare. All together this year we spoke to approximately 260 students as part of Engineers Week 2019. Now in its 13th year, Engineers Week is an annual campaign to inspire the next generation of engineers and excite students about the possibilities a career in engineering can offer. The event is coordinated on a national basis by Engineers Ireland’s STEPS programme. To find out more about the initiative visit www.engineersweek.ie.